Another year has come and gone. This makes it a good time to review our personal impact on the environment. While we may all proclaim our love of nature and all the beautiful creatures, nice sentiments are not nearly enough. That time has passed, climate change is upon us. We need to be driven by facts, data and most importantly personal accountability. If we want real change, we need to, as Michael Jackson says look at the “man in the mirror”. The WWF carbon calculator is great way to find out how much carbon pollution we emitted over the past year and track our annual progress (Mobile app for iOS and Android). This app has been localised specifically for Hong Kong residents for greater accuracy. Here is my personal record. Although I’m far from proud of it, it is only by acknowledging and taking ownership of the issue that I can begin to fix it (and reap the benefits of deeper personal development, but more on that another time). 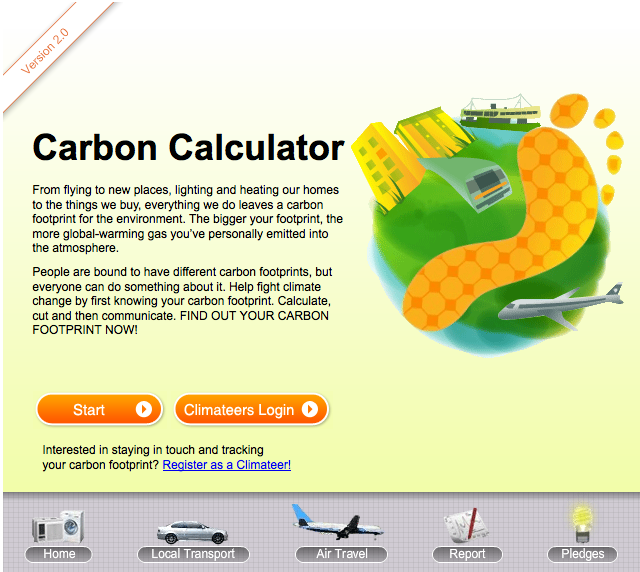 According to the calculator, my total carbon emissions for 2011 was 8.25 tons (all figures rounded to 0.05). Of this amount, 2.35 tons was due to air travel which consisted of one business trip to Beijing and one 2-week leisure trip to Taiwan. In 2012, my carbon emissions declined from 8.25 to 5.9 tons. This was as a result of eliminating air travel. The Hong Kong average is 6.5 tons per person. This average, however, does not include travel. The average would be significantly higher if it were included. In the last year, my emissions ballooned to 10.95 tons. A trip to New York, to visit family and friends, by itself generated 6.3 tons. This one trip overwhelmed all the efforts made during the last year to reduce my emissions to 4.7 tons. From this record, we can see that the only way I can make meaningful change to my personal carbon emissions is to reduce air travel. In our modern world, many of us see air travel as almost a necessity. We take leisure trips to get away from the stress of our daily lives. When we review these trips from end to end though, we can see that the benefits are significantly lower than perceived. Lets take a hypothetical 5-day trip to a beach resort in Bali for meditation, massage, yoga and of course the great food. To take our relaxing trip to Bali, we first need to research, plan and book the trip. This probably takes half a day if not more. Packing our luggage and changing currency, another half day. Getting to airport, checking in, going through customs and immigration takes at a minimum 3 to 4 hours. The flight itself is almost 5 hours. So by the time we arrive in the resort another day is gone. Now we spend the next 3 full days relaxing at the resort. Finally, on our last day, we pack and rush to the airport to make our return journey. To enjoy 3-days of leisure, we have spent no less than of 3-days doing things that few would consider enjoyable and in most cases are a downright hassle. We often make new year resolutions to reduce our weight, exercise more, or save more money. This year, lets make a resolution to end the talk and do our part to save the planet.